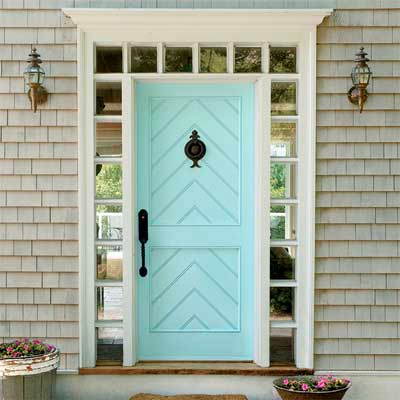 We have an opportunity to create a great first impression with the front door on Weaver Drive. 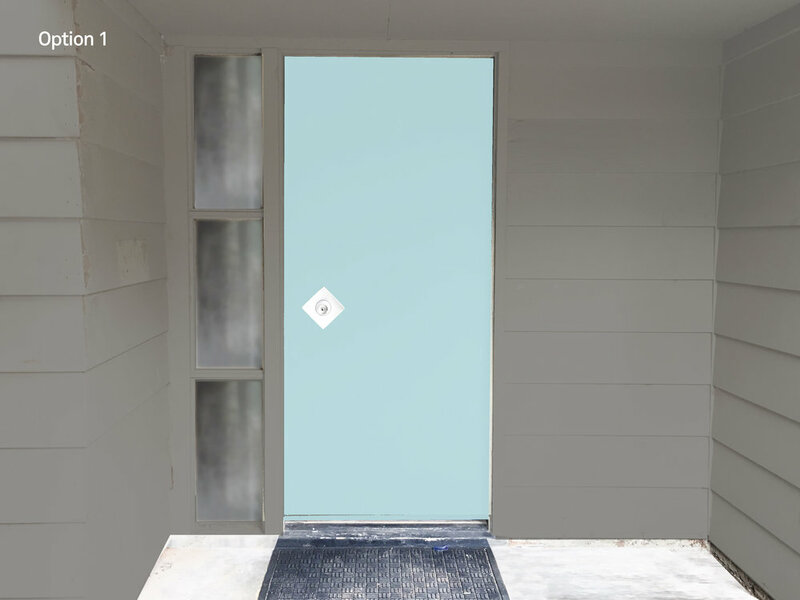 I know it doesn't look like much yet, but, with the help of TLC, landscape and PAINT, we are going to turn this entry into something fantastic. Here's the exterior color we are working with. You could say I'm a little obsessed by this Mined Coal paint. I have to tell you how we found it. Lance and I were driving around super cool neighborhoods with lots of 60's rambling ranch houses in Lance's hometown of Sacramento. We drove by this one on a corner lot and I stopped in my tracks. Everything about it was done well: the architecture, the landscaping and the paint! My lord, the paint! At that moment, a man walked into the front yard. Thinking it was the gardener, I jumped out of the car and asked if he happened to know the color of the house. It turns out it was the owner and he knew right away. 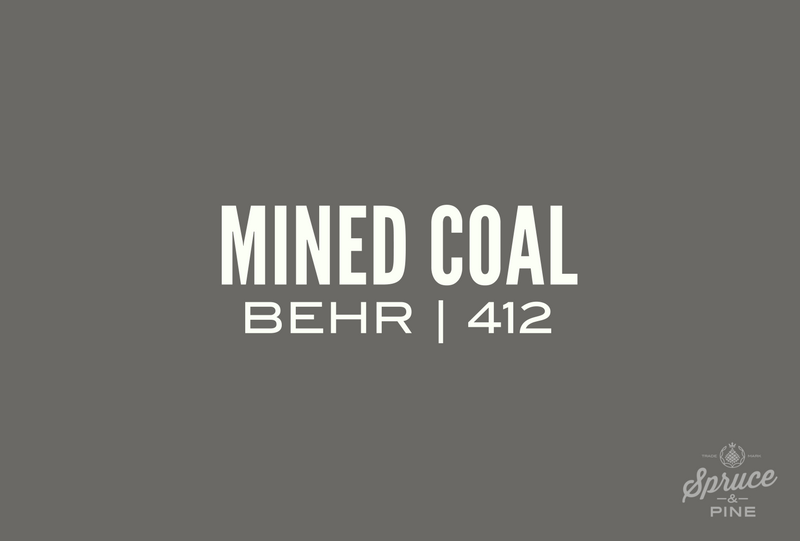 Not only did he immediately say "Behr Mined Coal" (who knows the actual name of their exterior paint?) but he walked me into the garage and gave me a gallon!!! So, there you have it. That is when my love for Mined Coal began. 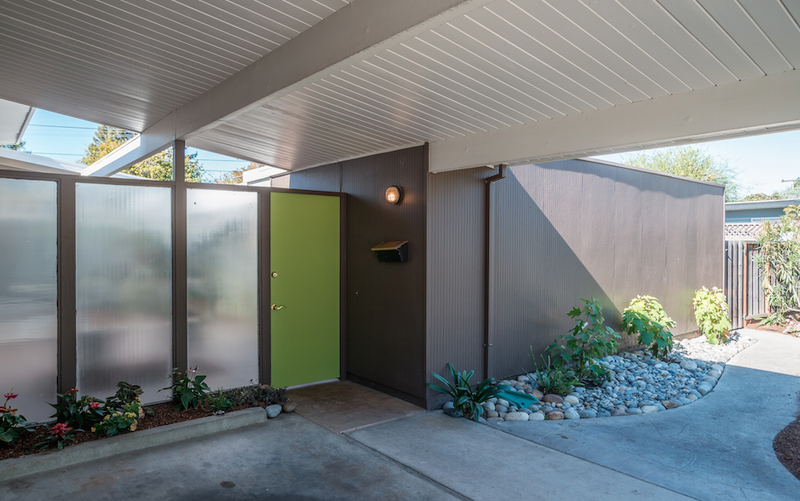 Now let's find something fabulous to go steady with our exterior house color. You know, it's funny. Hate is a strong word. But, up until I started writing this blog (meaning, this instant), I would have told you that I strongly disliked the color yellow. However, something has come over me and I'm starting to feel differently. It might be just the fabulous pairing of yellow next to my beloved Mined Coal. 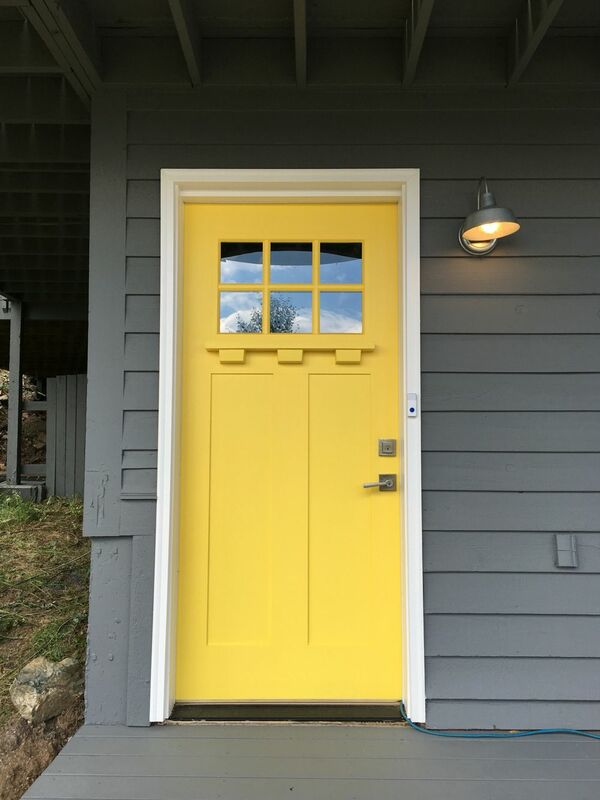 Check out this image of these 3 yellow paint swatches (below). Pure loveliness. From top: Mango Gold, Ralph Lauren VM242, Pure Joy, Benjamin Moore 327, Lemon Freeze, Benjamin Moore 2025-50. See more on blog. I'm just loving this one! Looks like sherbert. Please let us know your thoughts. Or add an option to the mix! Older PostDark Walls. Dark Rooms.